Looking for great apps at a fraction of their regular cost? 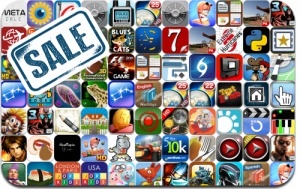 We’ve found 71 iPhone, iPad and iPod touch apps that are currently on sale. This app deal alert includes Demolition Master HD: Project Implode All, Tiny Defense, The King Of Fighters-i 2012, Crazy Hedgy, Epoch, Babylonian Twins, Metal Slug 3, N.O.V.A. 3, Royal Envoy, 100 Rogues, and many others.